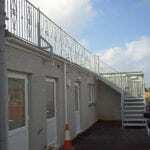 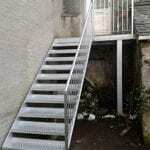 Staircases whether internal or external are used as a means of access or as a fire escape for the property. 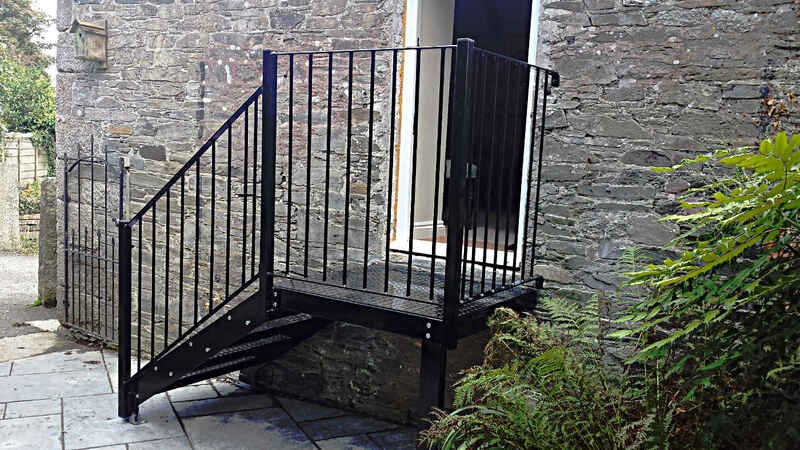 Over the years, metal staircases have become increasingly favoured over wooden ones due to the longer lifespan and low maintenance. 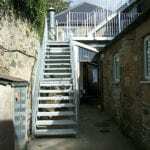 Especially in Cornwall with our corrosive sea air. 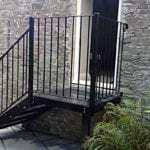 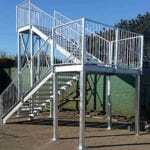 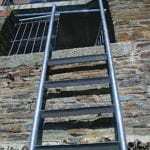 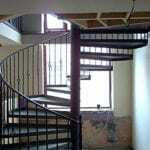 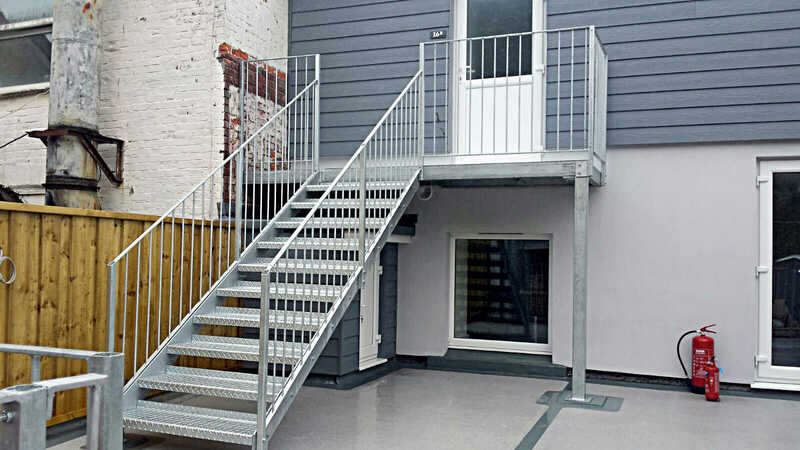 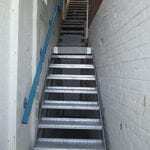 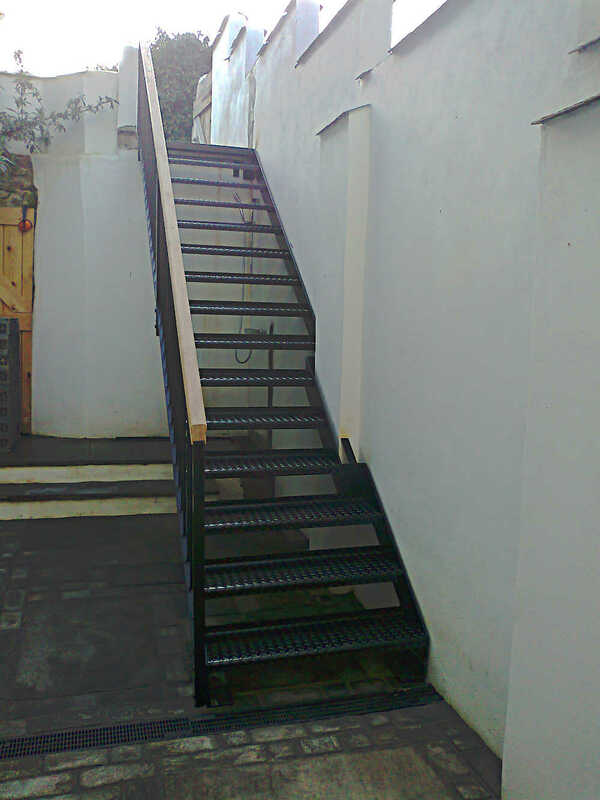 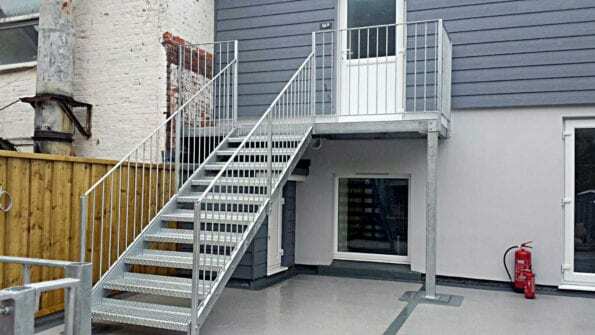 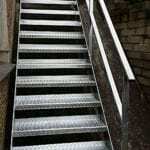 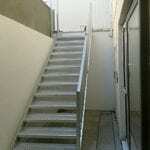 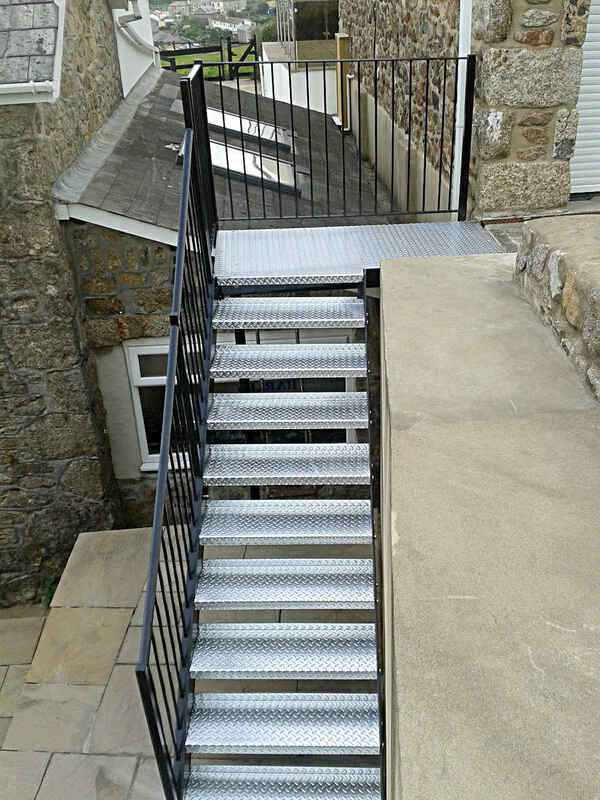 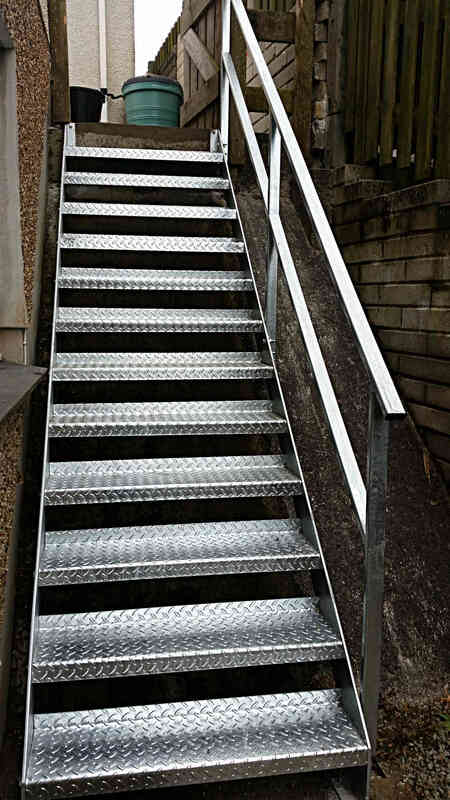 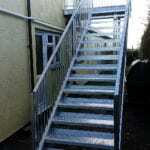 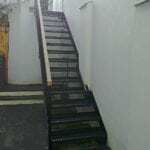 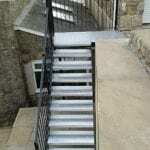 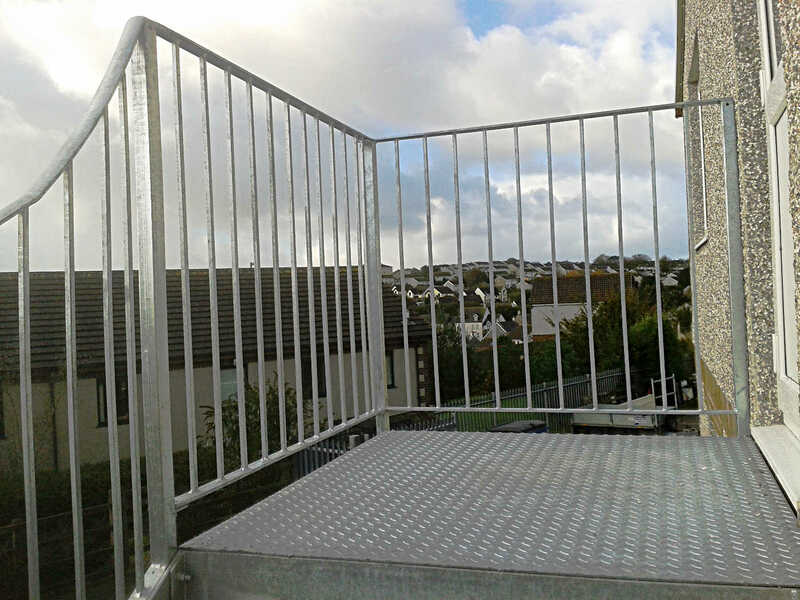 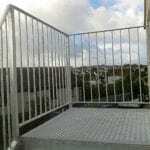 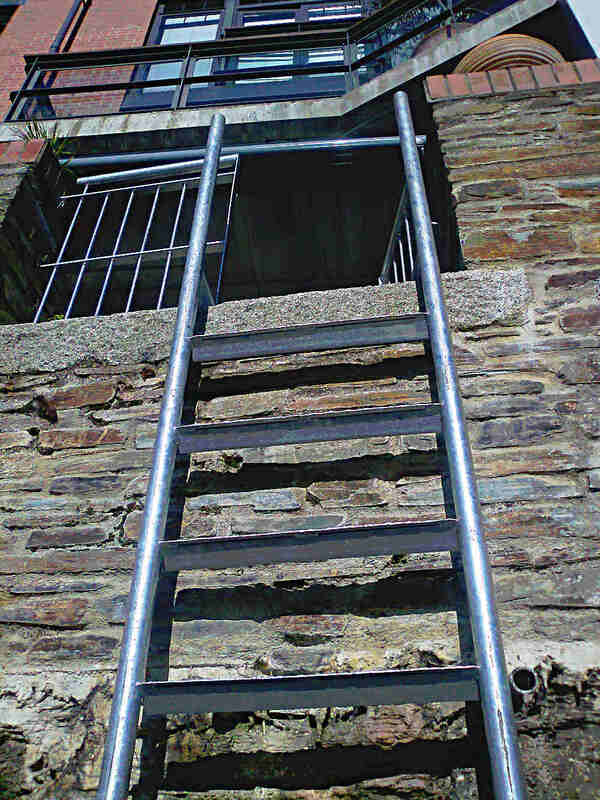 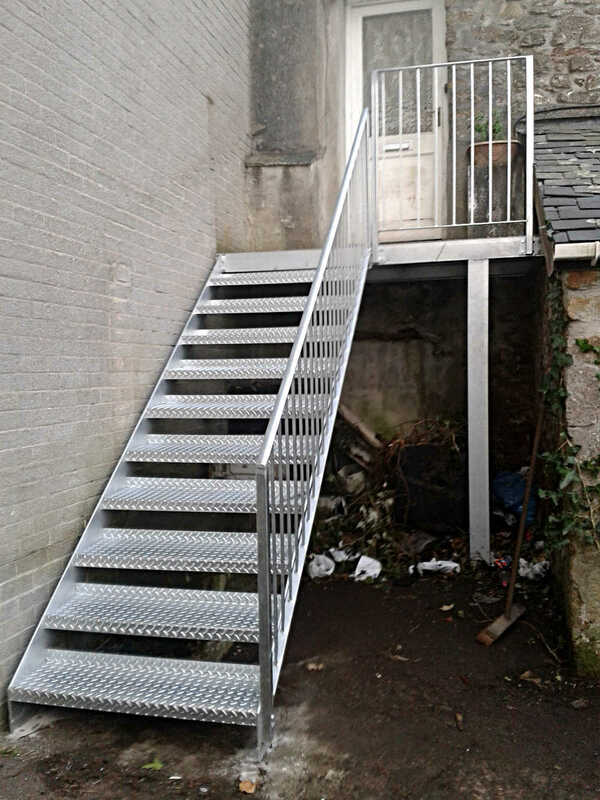 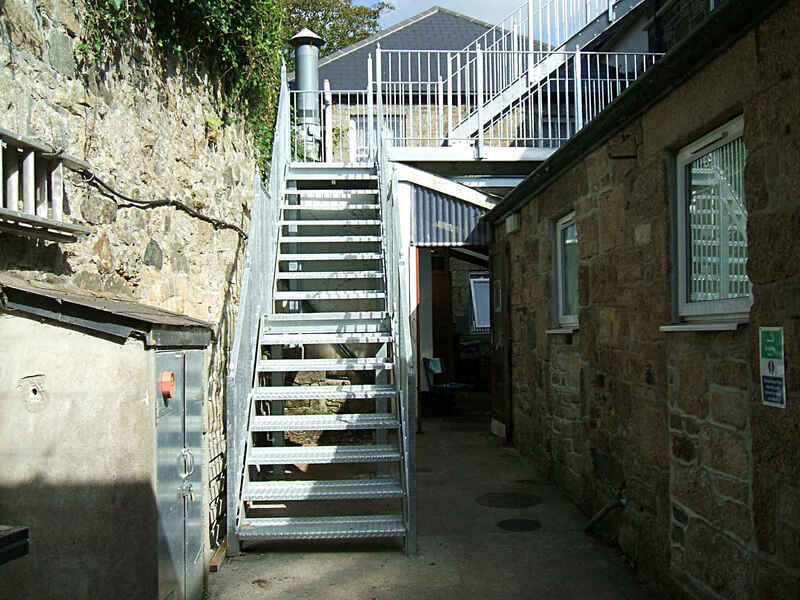 A galvanised staircase should have a life of 25 – 30 years before the need for a major maintenance occurs. 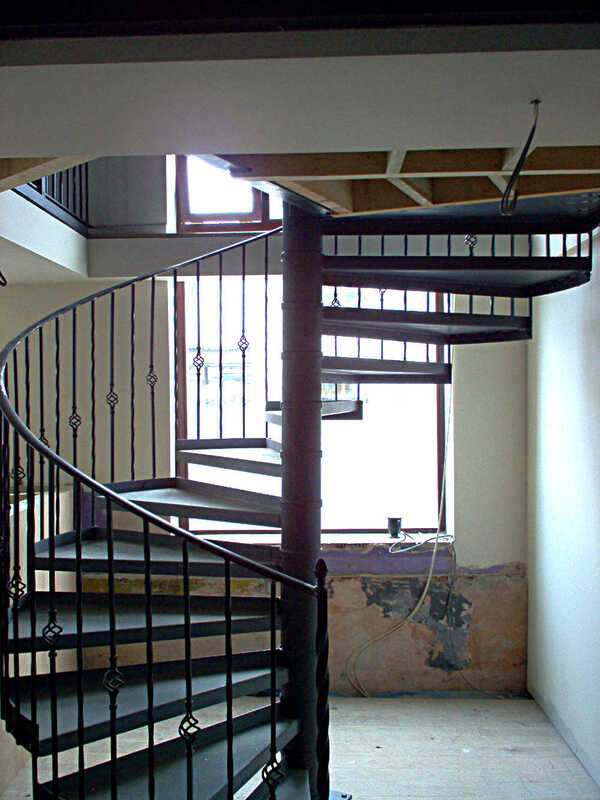 Where space is limited, the need for a spiral staircase arises, and this can take up a space of 1.2m (1200mm) as a minimum. 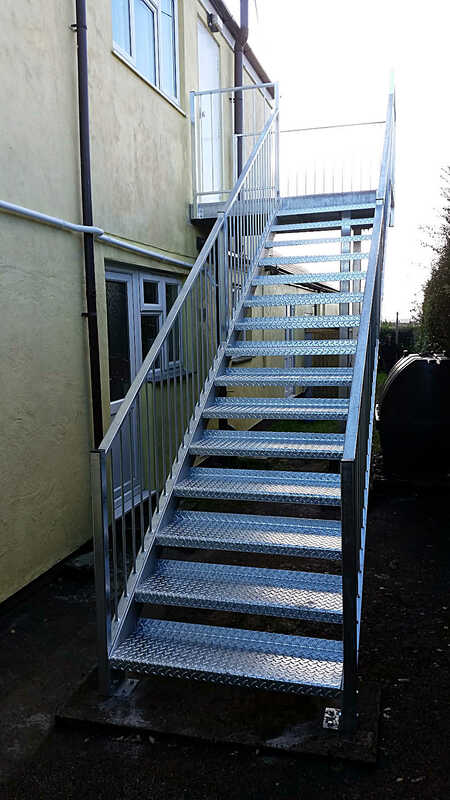 For each staircase, we also carefully select the correct tread type, such as anti-slip treads for external staircases, or wooden steps for a more homely feel for the interior of your property. 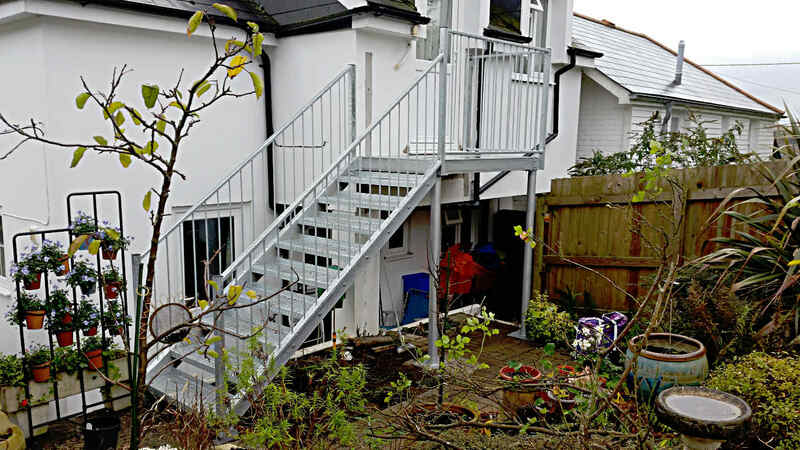 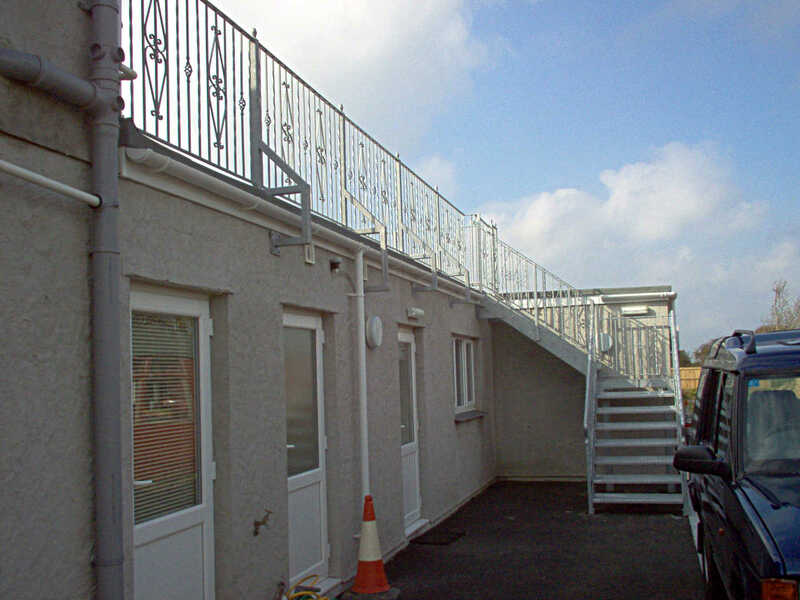 Handrails for staircases can be a variety of designs which will all meet current regulations, where a simple handrail is needed we recommend galvanised handrails, for a higher end finish we can sue stainless steel and glass toughened glass paneled balustrades. 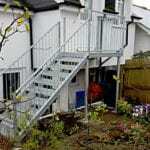 Generally we will require an on site survey to ascertain what is required in order to design,make, and build. 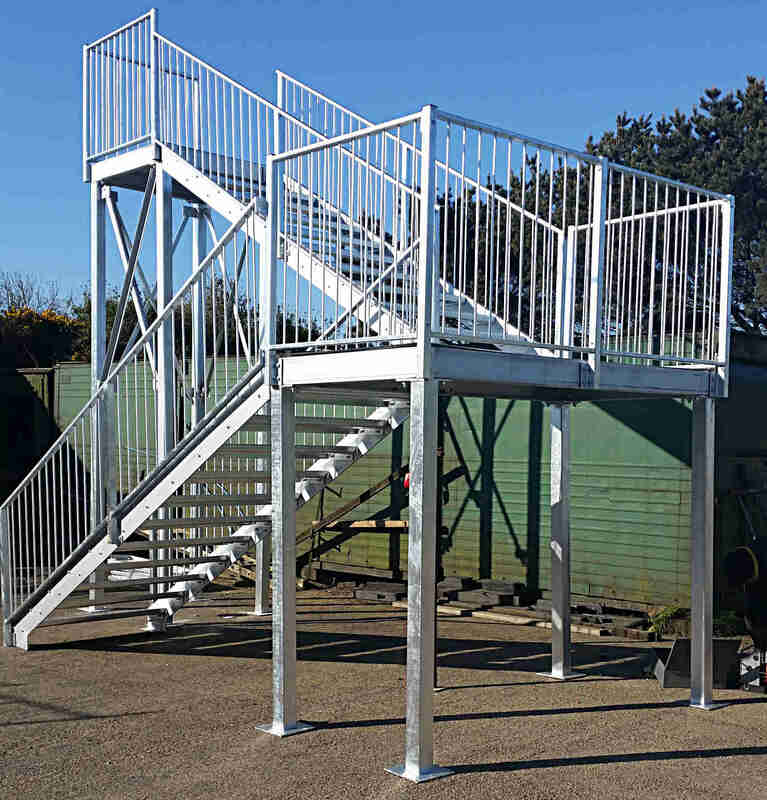 Where restricted site access is a problem, we always make our staircases in small manageable sections for ease of transport and installation. 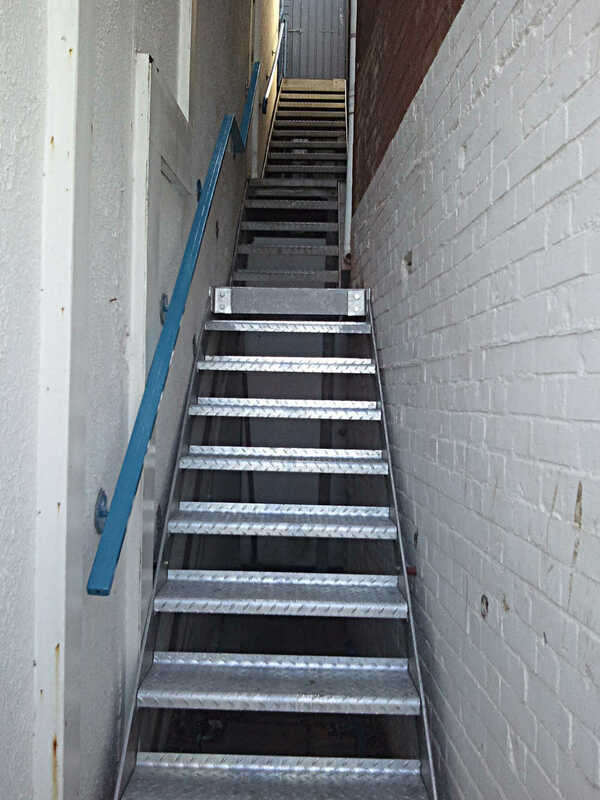 When existing stairs are in place we ensure that the removal of the current stairs takes place the same day as the new staircase being installed. 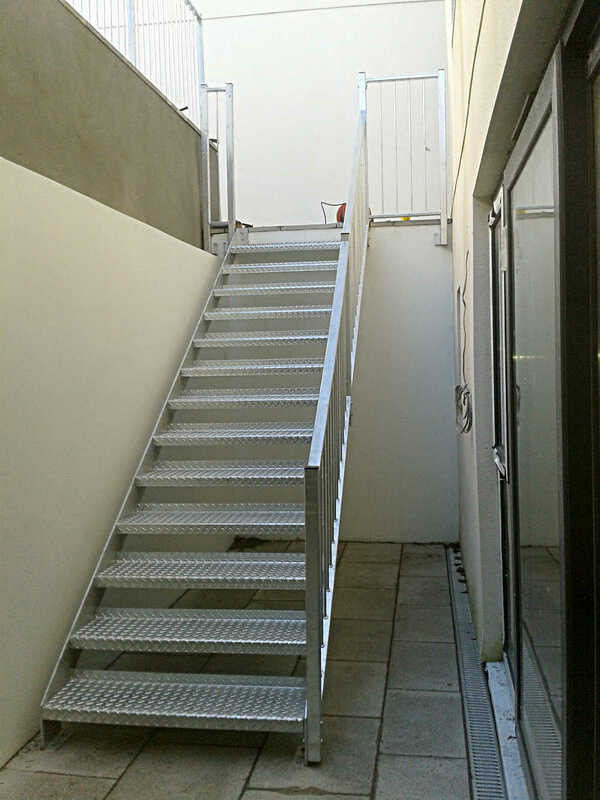 When the stairs are a fire escape, we make sure that at the end of the day the new stairs are useable or make sure other arrangements are in place to ensure a fire escape is readily available. 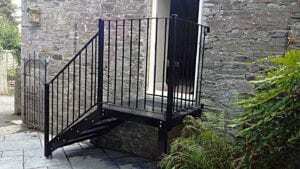 If you require a quote or would like to place an order please get in contact with us using the contact page. 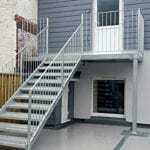 Alternatively we are open Monday to Friday 9-5 at our workshop to discuss your project.